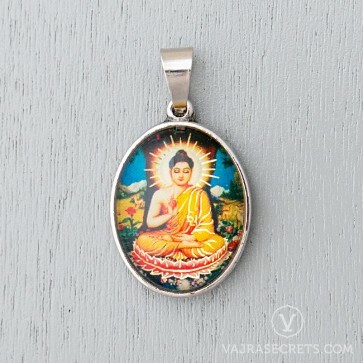 A casual and affordable glass dome Buddha Shakyamuni pendant that's also a unique gift idea for any occasion. Part of a set of 10 designs. 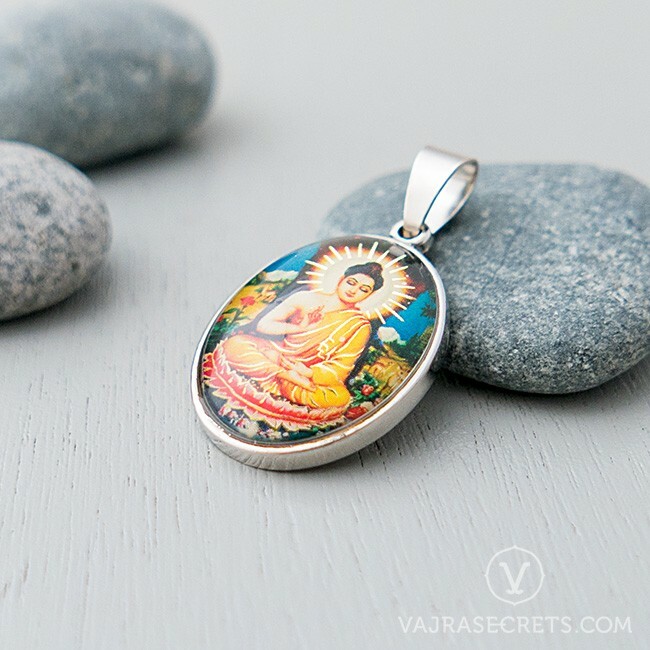 Get them all and wear a different one every day or share the blessings with your friends. 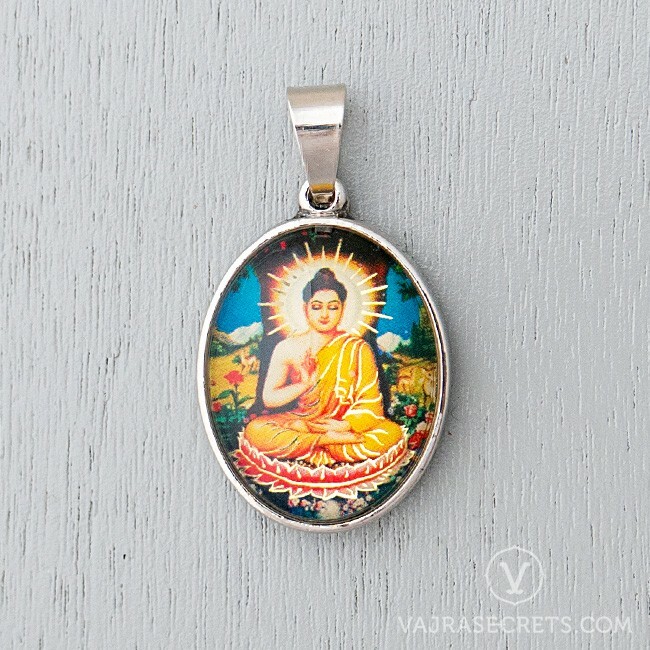 Bring the Buddha's positive energy and blessings everywhere you go with this casual and affordable glass dome pendant with gold foil accents.